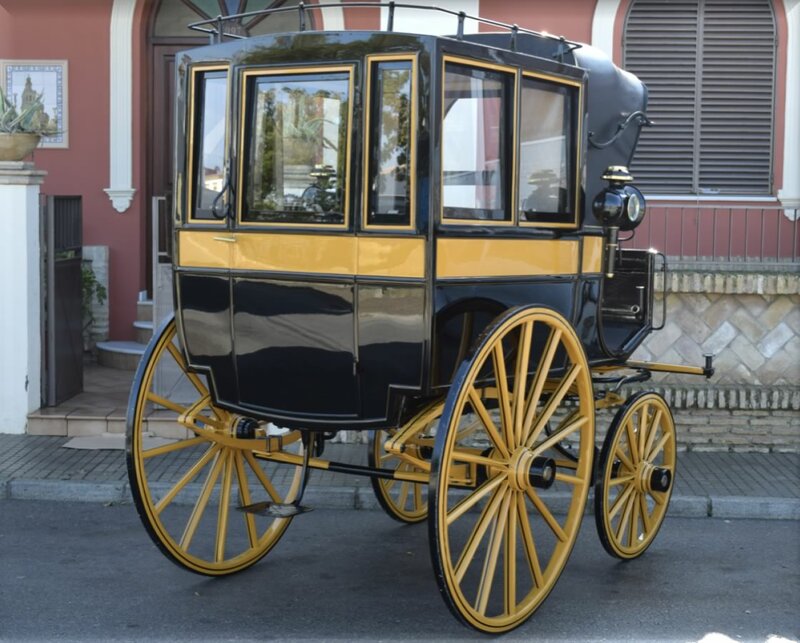 This Omnibus, built by the house “Henck à Paris” (very appreciated for the quality of all its work), is equipped in the front of a small hood called “Capuchina” (from the French, Capucine) that served as protection for the coachman. 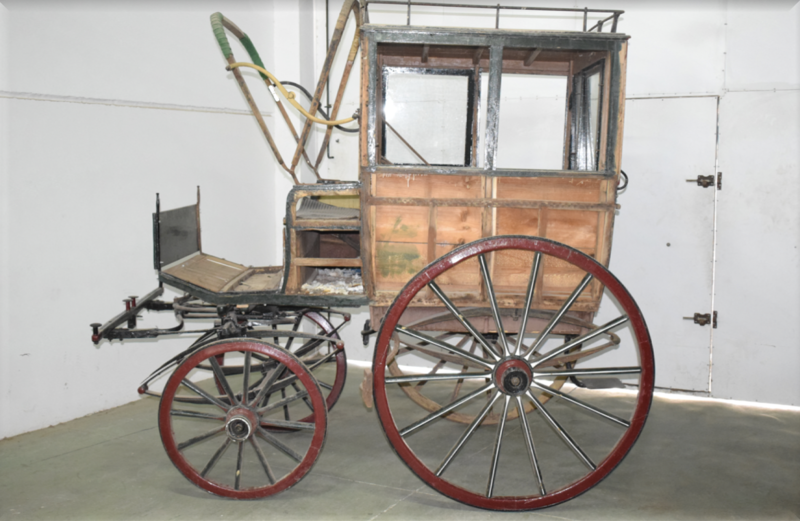 Born as a public service car for large houses, It later went on to serve in hotels and important commercial firms with the main mission of picking up passengers at railway stations, usually wearing the name of the establishment on the sides of the carriage box. Said box is a rigid cover with glazed windows, access through a rear door with a fixed or also folding abutment to facilitate the ascent to the interior to the passengers. Their seats are arranged longitudinally and in two rows facing each other. 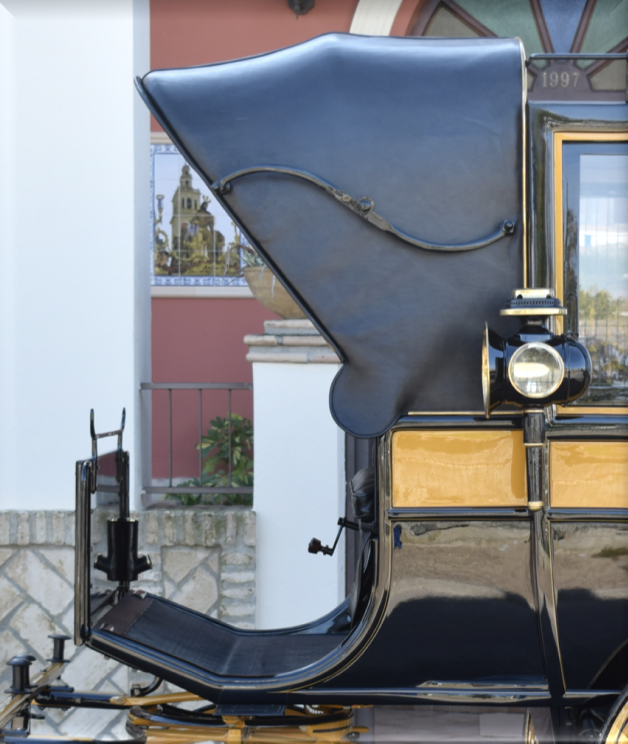 The interior is upholstered in leather or, in luxurious cars, satin fabric. 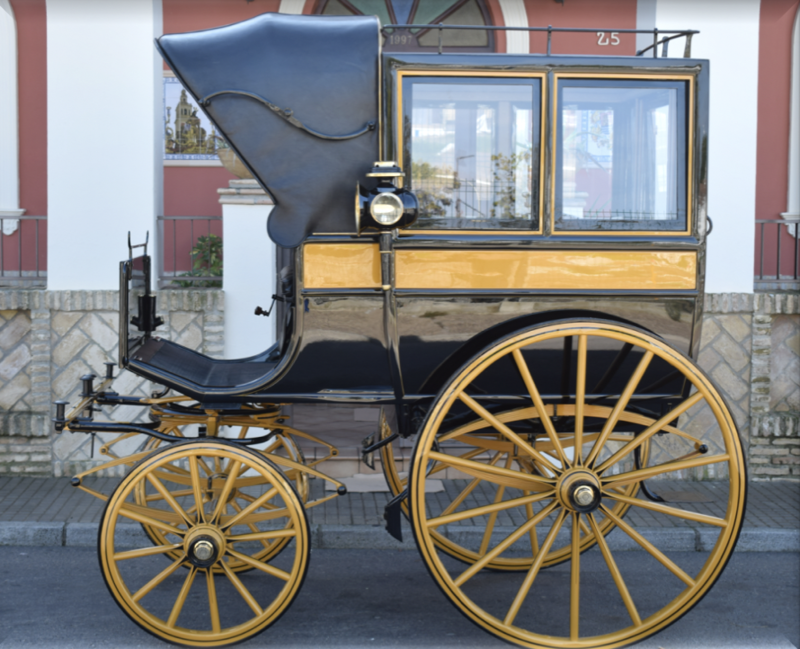 It is guided from a tall box in the front of the carriage and on the roof carries a roof rack for luggage, although in some models also carries on it, a seat behind the box, with a footrest and stirrups to climb. They were also used privately for family outings and short trips. In this case, always driven by its owner, often from the middle class. In this project, and after carrying out in a first phase the due studies of historical research together with the physical methods of image examination that allow us to make the diagnosis of the state of conservation and determine the factors of alteration and pathologies, we can immediately appreciate a important attack of xylophagous insects, possibly active and appreciable through numerous holes present in the lower box area, and the loss of leather in the hood. The oxidation is almost complete in all the fittings (leaf springs, impellers, axle, etc.) and there is a high number of cracks and fissures, both in the box, basses and wheels. 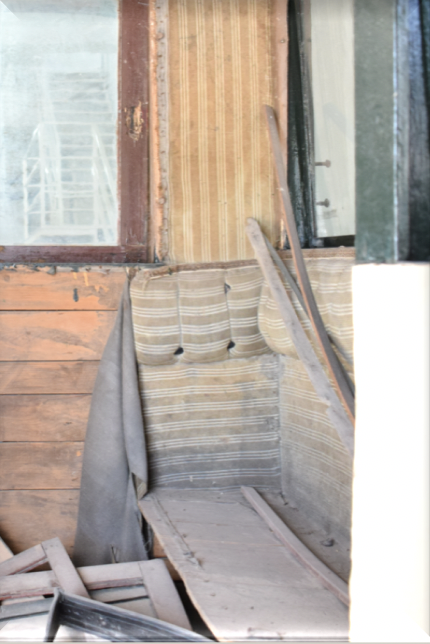 In addition, the interior upholstery is totally deteriorated, presenting generalized dirt and moisture stains, along with the lack of buttoning and the loss of padding of the seats. 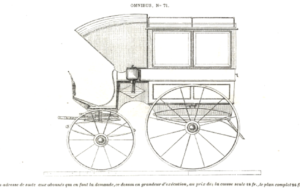 The action proposal is addressed under the principle of material conservation and full recovery of the functionality of the vehicle, but respecting its authenticity, through a minimum performance in terms of material and chromatic reintegration, respecting at all times the fundamental principles to be taken into account in any action, stability, reversibility and discernibility. In general, after the corresponding mechanical cleaning, disinsection and cleaning of the oxidation, polishing and adjusting all the deformations of the metals, we proceed to the replacement of the windows of the lateral windows and to the reintegration with rigging and treatment of the cracks with the corresponding painted in yellow and filleted in black with the corresponding finish and protection. 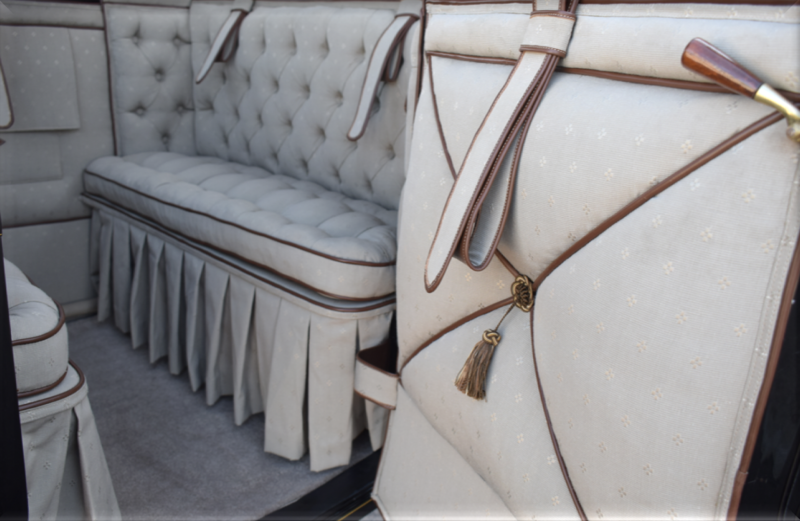 We emphasize in this project the upholstery of the interior of the beige textile box, trimmed in brown leather and decorating the interior of the back door with a thread embellishment, together with the replacement of the hood in black leather and cloth interior beis.